Gauges of business activity in America continue to send mixed signals. For example, industrial production and other recent “hard data” on actual output have cooled a bit but overall remain quite encouraging, especially considering how much the soft (survey) data deteriorated at the end of 2018. 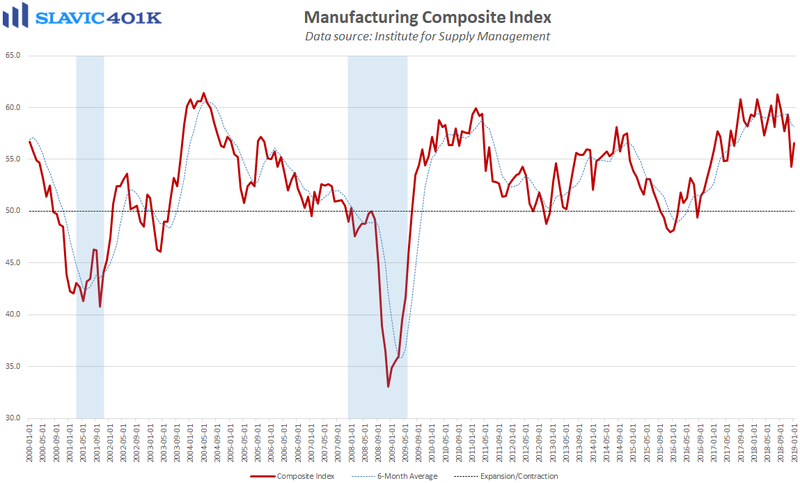 Indeed, the Institute for Supply Management’s headline U.S. manufacturing index in December posted its largest 1-month decline since 2008, and similar weakness was seen in the surveys conducted by IHS Markit and every regional Federal Reserve bank. 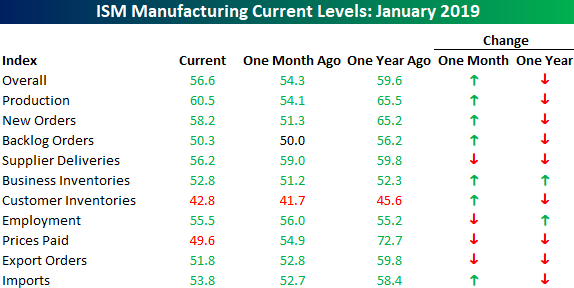 January data from a few of those sources point to a slight rebound in activity at the start of 2019, but going forward several potential issues remain. 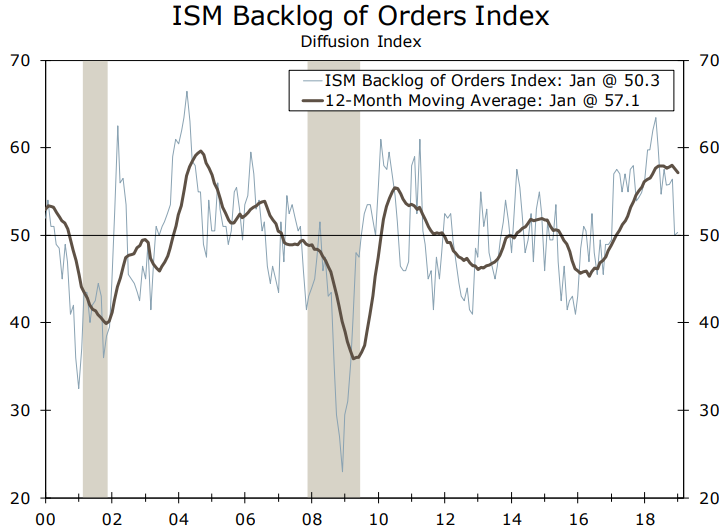 ISM’s gauge of export orders, for instance, continued to decline last month even as the headline index improved. Although the still unresolved trade war with China likely contributed to recent foreign demand weakness, a bigger challenge continues to be that even though overall economic growth in America might have cooled, the United States is still doing significantly better than the rest of the globe. Moreover, the U.S. dollar tends to be inversely related to production, e.g. 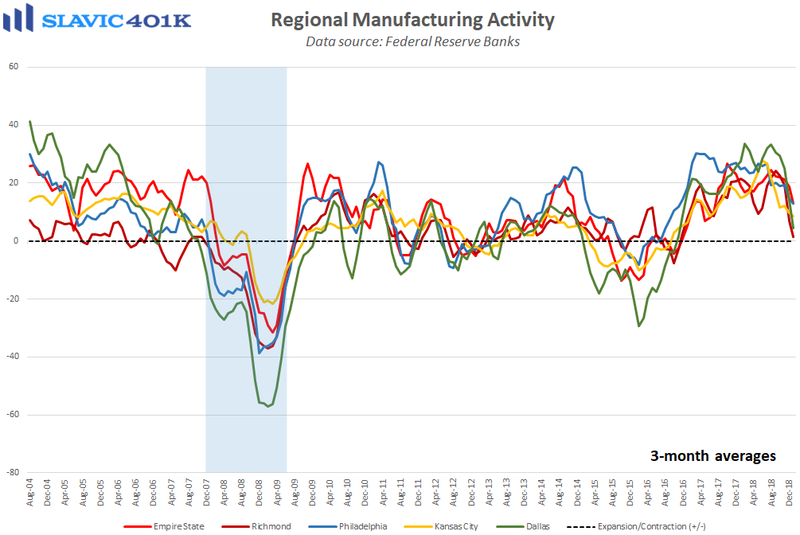 periods of dollar strength are often accompanied by a slowdown in manufacturing and broader industrial activity. The strength seen in the greenback over the past year has therefore been an obstacle for this arena and could continue to be one in 2019. The Federal Reserve’s recent dovish shift, though, may help the dollar weaken and actually buoy activity in the year ahead. Two reports out this morning from IHS Markit and ISM showed that activity in the U.S. services sector has also moderated recently but by many measures less so than manufacturing. Further, January’s big report on nonfarm payrolls from the U.S. Labor Department revealed that manufacturing firms added 13K jobs in January, the smallest increase since August and December’s gain was revised lower by 12K. At the same time, services sector hiring remained strong and added another 224K payrolls. In many ways this is not surprising since services sector businesses are typically less exposed to global trade issues and raw materials costs than companies in the goods-producing arena. Additional weakness in the services sector, though, would be concerning since these businesses account for a much larger share of U.S. economic output (GDP) than manufacturing.